Polar M430 integrates state-of-the-art running metrics and advanced GPS with the freedom of optical heart rate technology. • Polar Flow App - Track your training and activity, analyze your progress and achieve more with Polar Flow • Color Options: Grey, Orange, White. 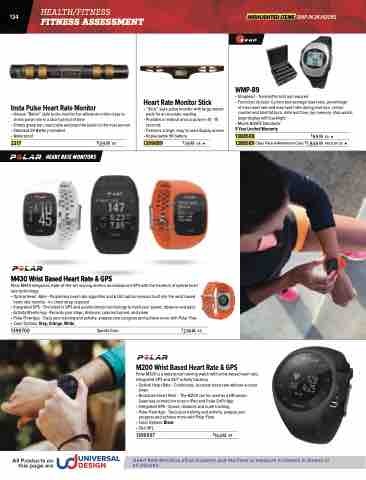 • Broadcast Heart Rate -  The M200 can be used as a HR sensor. Heart Rate Monitors allow students and teachers to measure increases in fitness of all children.